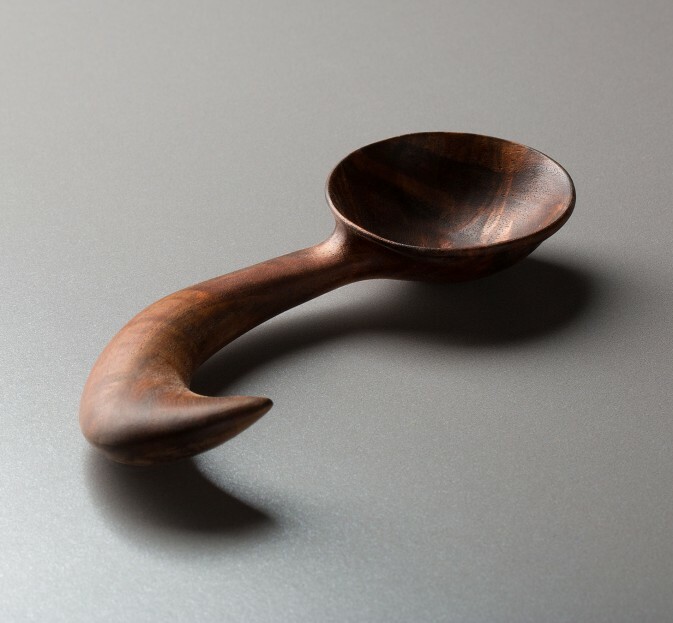 The design's soft curves and flowing lines complement the beautiful walnut wood to form a scoop with an appeal that goes beyond its readily apparent elegance and usefulness. 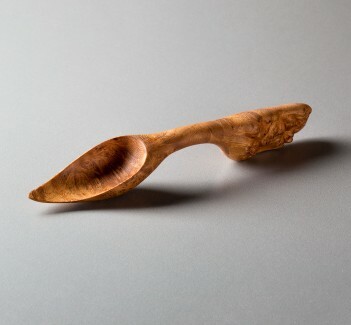 Measuring at 5.25", this scoop is carved by Terry Widner of Spoontaneous from a piece of walnut sourced from Oregon. 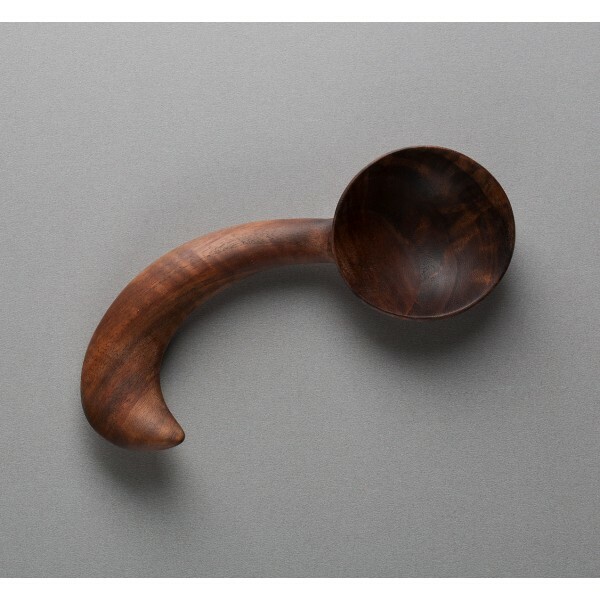 Terry Widner's portfolio includes no shortage of stunning decorative, nonfunctional, and as Terry puts it "dysfunctional" spoons, yet this scoop is a wonderful example of Terry's skill and creativity put to use in a fully functional tool for the kitchen. 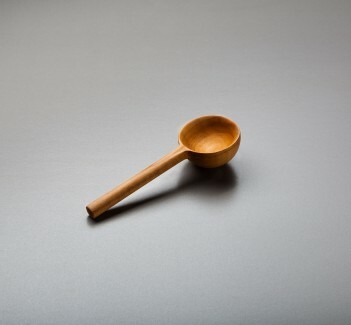 5.25" long overall. 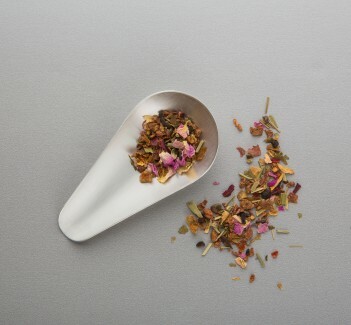 2" wide by 1" deep bowl. Mineral oil and beeswax finished walnut wood.